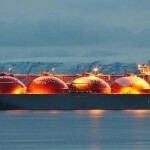 Qatar’s plan to double its LNG carrier fleet by 60 vessels will be one of the largest fleet expansions the industry will witness to date and will be critical to the evolution of LNG trade flows and market dynamics in the next decade. 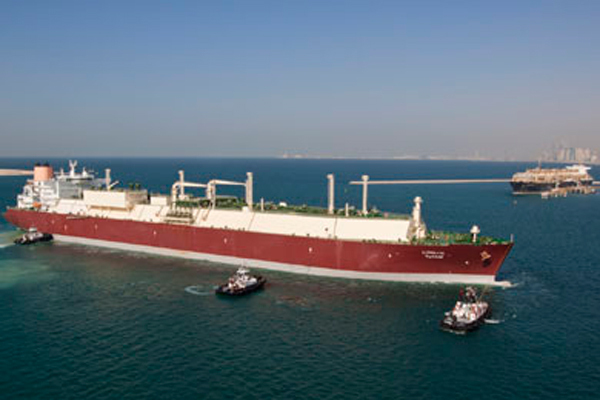 Qatar, the world’s largest LNG exporter, already operates the largest LNG fleet through its shipping subsidiary Nakilat, which has pushed economies of scale with its Q-Flex and Q-Max vessels, the largest LNG carriers in operation. The fleet expansion underscores a favored tactic among Middle East producers, such as Saudi Aramco and National Iranian Oil Company, wherein shipping investments are strategic to maintaining market dominance. 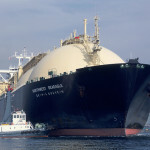 Even Malaysia’s Petronas, a top LNG exporter, controls its own fleet. Most of Qatar’s LNG is supplied through long-term contracts on a destination ex-ship basis, where the seller arranges for shipping. This business model has been challenged by the growth of the spot market, but Qatar is unlikely to make a drastic shift from contracted supplies. This has been reaffirmed by the proposed fleet expansion. When Qatar’s second-largest LNG producer Rasgas signed a deal to supply Italy’s Adriatic LNG terminal in 2001, the 25-year contract was market changing. The LNG market hasn’t looked back since then. In addition to commercial leverage, perhaps the biggest driver for maintaining a large LNG fleet is geopolitical. Qatar is still feeling the impact of the Saudi-led trade embargo in 2017, which put it in a situation similar to Iran’s where the producer was forced to rely on its own ships. Doha’s withdrawal from the OPEC last year to focus on gas means that a domestic LNG shipping fleet will be key to Qatar’s long-term LNG ambitions. Earlier this week, Qatar’s energy minister said a recent delegation to South Korea was studying the addition of 60 new LNG tankers. This corresponds with the expansion of Qatar’s LNG export capacity to 110 million mt/year from 77 million mt/year, and Qatar Petroleum’s Golden Pass LNG terminal in Texas. Leszczynski said the last time Qatar’s fleet grew on this scale was nearly 10 years ago when it ordered 45 units over 3-4 years, spread among the three largest Korean yards — Daewoo Shipbuilding & Marine Engineering, Samsung Heavy Industries and Hyundai Heavy Industries. The orders were completed in a record 34 months by August 2010, demonstrating the efficiency of South Korea’s shipbuilding sector, and paving the way for them to build the bulk of the current global fleet. “The same is likely to happen this time as well. 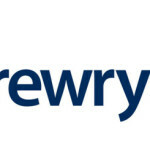 Only South Korean yards have experience in building such vessel types and have sufficient capacity,” Leszczynski said, adding that each Q-Flex or Q-Max roughly costs $200 million. 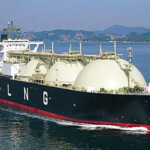 While the Q-Flex or Q-Max vessels helped expand global LNG infrastructure — terminals like Singapore’s SLNG are designed to fit large vessels — they have not been compatible with older terminals in Japan and FSRUs in shallow water ports like Pakistan. “Looking at the trade flows of the Q-Max/Q-Flex vessels, it definitely looks like these ships are finding some new destinations as demand for LNG has risen. 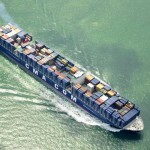 Big ships equal lower costs in almost all cases,” VesselsValue’s Smith said. In January 2012, Q-Max ships delivered LNG to only three terminals — UK’s Isle of Grain, Malta’s Valletta and Canada’s Canaport, and Q-Flex ships delivered to Japan’s Sakai, Isle of Grain and UAE’s Khor Fakkan. 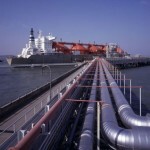 Taking The Road To The Future With Natural Gas?